Calling all "Will & Grace" fans! SEE ALSO: Courteney Cox and Lisa Kudrow slay in the ultimate 'Friends' trivia! We all remember "Will & Grace" as that beloved NBC comedy that was ahead of its time, and one of the funniest TV shows ever to hit the airwaves. Debra Messing, who played Grace Adler in the NBC sitcom, took to Instagram to post one of the best reunion photos we have ever seen. 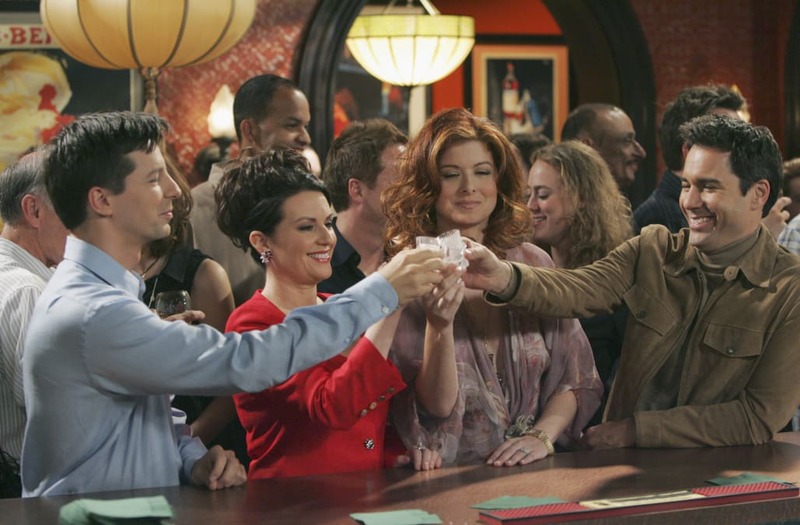 Flanked by her side were Eric McCormack (Will Truman), Megan Mullally (Karen Walker), and Sean Hayes (Jack McFarland)! The "Will & Grace" actress captioned the pic "Only smiling because of where Eric's hand is! #ericmccormack @seanhayes @themeganomullally"
However, it wasn't only Messing who was posting all the pics, the rest of the cast did, too! Whatever they were reuniting for (hopefully for a "Will & Grace" TV reunion), we are all here for it. Check out the rest of the pics below. Anyone else experiencing serious FOMO right now? While we go and watch old episodes, check out the gallery below!